Eric Gibbs prosecutes consumer protection, antitrust, whistleblower, financial fraud and mass tort matters. He has been appointed to leadership positions in dozens of contested, high profile class actions and coordinated proceedings, and currently serves in leadership positions in In re Equifax, Inc. Customer Data Security Breach Litigation, In re: Wells Fargo Auto Insurance Marketing and Sales Practices Litigation, In re Risperdal and Invega Product Liability Cases, In re Vizio, Inc., Consumer Privacy Litigation and In re Banner Health Data Breach Litigation. Eric has recovered nearly a billion dollars for the clients and classes he represents, and has negotiated groundbreaking settlements that resulted in meaningful reforms to business practices, and have favorably impacted plaintiffs’ legal rights. 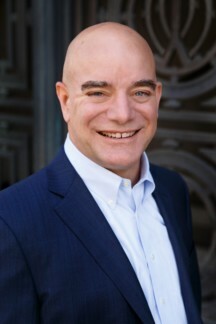 In over twenty years of practice, Eric has developed a distinguished reputation with his peers and the judiciary for his ability to work efficiently and cooperatively with co-counsel, and professionally with opposing counsel in class action litigation. [Mr. Gibbs] efficiently managed the requests from well over 20 different law firms and effectively represented the interests of Non-Settling Plaintiffs throughout this litigation. The attorneys who handled the case were particularly skilled by virtue of their ability and experience. Representation was professional and competent; in the Court’s opinion, counsel obtained an excellent result for the class. 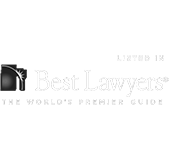 Eric has been widely recognized for his professional excellence and achievements, and has been selected by numerous publications as a leading lawyer in the field of Class and Mass Actions. The Daily Journal named Eric to its prestigious list of “Top Plaintiff Lawyers in California” for 2016 and Law360 recognized Eric as a “2016 Consumer Protection MVP,” the only plaintiff-side lawyer in the country selected in that category. In 2018, Law360 named Eric a “Cybersecurity & Privacy MVP,” one of only five attorneys who received the honor nationwide. Consumer Attorneys of California selected Eric and co-counsel as finalists for the Consumer Attorney of the Year award for their work in achieving $100 million settlement in the Chase “Check Loan” Litigation. His cases have been chronicled in major legal and news publications including NBC News, CNN, the National Law Journal, The New York Times, Auto Week, Market Watch, and Bloomberg News. Eric holds a variety of leadership positions in professional associations dedicated to consumer advocacy, and he is frequently called upon to present on developing trends in the law at conferences throughout the country. Eric heads our California whistleblower attorney practice group. Served as a court-appointed member of the Plaintiffs’ Steering Committee representing the interests of plaintiffs and putative class members following a massive data breach of approximately 80 million personal records. The lawsuit settled in August 2018 for $115 million, the largest data breach settlement in history. Multidistrict litigation that alleged Chase Bank wronged consumers by offering long-term fixed-rate loans, only to later more-than-double the required loan payments. Eric led negotiations in the case, which resulted in a $100 million settlement with Chase eight weeks prior to trial. As court-appointed lead counsel, Eric and his team reversed a long line of decisions adverse to consumers whose personal information was stolen in data breaches. Judge Koh issued a 41 page decision in plaintiffs’ favor and Eric negotiated a comprehensive reform of Adobe’s data security practices. The court’s landmark decision on Article III standing in this case marked a sea change and has been cited favorably in over twenty cases in the year since it was issued. As court-appointed liaison counsel, Eric reconciled the plaintiffs’ interests and coordinated discovery and settlement negotiations. He helped finalize a settlement with an estimated value of up to $360 million. After more than a decade of litigation, Eric as lead counsel achieved a nationwide class action settlement on behalf of approximately 5 million consumers of Intel Pentium 4 processors. The lawsuit changed Intel’s benchmarking practices and Intel agreed to a cash settlement for the class, along with $4 million in charitable donations. Eric served as class counsel in this lawsuit alleging that the flywheel and clutch system in certain Hyundai vehicles was defective. After achieving nationwide class certification, Hyundai agreed to a settlement that provided for 50-100% reimbursements to class members for their repairs and full reimbursement for rental vehicle expenses. Eric served as lead attorney litigating the collective claims of dozens of misclassified account representatives for overtime pay under the Fair Labor Standards Act (FLSA). Successfully certified a class of current and former Masco account representatives and personally arbitrated the case to judgment obtaining full recovery for the class. Eric played a prominent role in this nationwide class action suit brought on behalf of Providian credit card holders alleging that Providian engaged in unlawful and fraudulent business practices in connection with the marketing and fee assessments for its credit cards. The Honorable Stuart Pollack approved a $105 million settlement, plus injunctive relief—one of the largest class action recoveries in the United States arising out of consumer credit card litigation. Class counsel skillfully presented Class members' claims while opposed by a sophisticated company represented by experienced litigators.